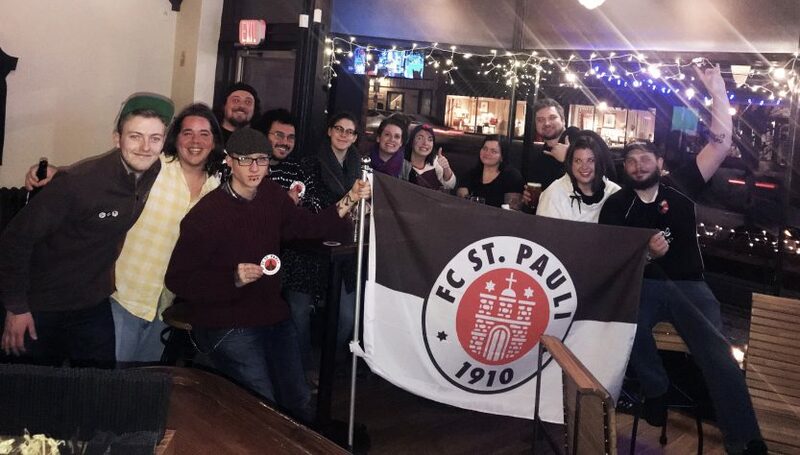 Founded in August of 2017, St. Pauli Buffalo was created as a hub for FC St Pauli fans in Buffalo and Western New York to share our love of the club, and to bring the ethos and views of St. Pauli to similar minded individuals. We work to provide a place to watch all matches, as well as taking part in causes to improve our local community in the vein of St. Pauli. St. Pauli Buffalo meet at Mes Que, 1420 Hertel Ave in Buffalo for all screenings, watched on a delay. Find our schedule at http://www.fcstpaulibuffalo.com and follow us on social media for our events, and other activities and causes.